WATCH CIC is a community interest company, which means that everything it does must be for the benefit of the community and in particular we focus on helping people who are disadvantaged, isolated or vulnerable. We are organised as a co-operative: that means that anyone who does benefit in this way has a right to become a member and all members (and only members) run the enterprise democratically. Chard Watch CIC project has been set up to reach out and engage with isolated adults needing support. 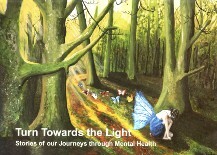 The W.A.T.CH Project was set up in 2010 by members of the Chard Intentional Peer Support Group. We aim to engage isolated adults such as those with mental health problems, physical disabilities, lone parents, the elderly, migrant workers and adults with drug and alcohol problems. We encourage members to reach their full potential in a positive environment of support and friendship. We have activities where members can learn and gain confidence with each other and help them to find a meaning to their lives.